The genus Gammarus is extremely broad. Its 204 described species represent 67% of the species in the Gammaridae Family. As such, the differences between each species are often minute. The body of Gammarus fasciatus is laterally compressed, contains 13 segments, and is divided into three sections; pereon, pleosome, and urosome. Its head has two sets of antennae and medium-sized kidney-shaped eyes. The pleosome and urosome each have three pairs of legs and the pereon has seven pairs of legs. Dreissena colonies enhance Gammarus fasciatus feeding by creating spaces between their shells for detritus to collect (Stewart et al. 1998). These spaces also provide protection from Gammarus predators (Stewart et al. 1998). Also, Dreissena excretion increases nutrient availability for benthic algae which eventually become additional food for Gammarus fasciatus (Stewart et al. 1998). Gammarus fasciatus reproduces sexually during the summer (Kestrup and Ricciardi 2010). The offspring are sexually mature within two months of birth (Kestrup and Ricciardi). 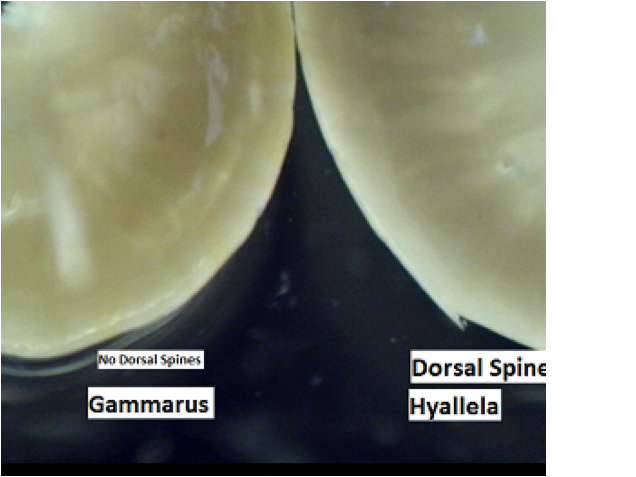 (Figure 2) – Absence/presence of dorsal spines. Gammarus fasciatus left, Hyallela azteca right. (Figure 4) – Morphological similarities. Gammarus fasciatus left, Hyallela azteca right. Kestrup, A. & Ricciardi, A. 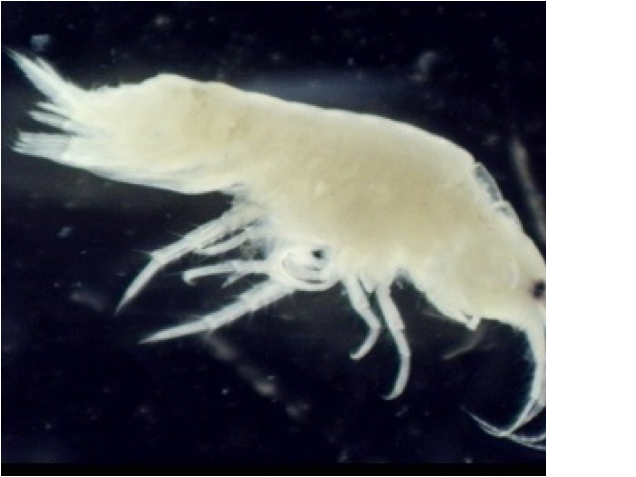 (2010) Influence of conductivity on life history traits of exotic and native amphipods in the St. Lawrence River. Fundamental and Applied Limnology, 176, 249-262. Stewart, T.W., Miner, J.G. & Lowe, R.L. (1998) Quantifying mechanism for zebra mussel effects on benthic macroinvertebrates: Organic matter production and shell-generated habitat. Journal of the North American Benthological Society, 17, 81-94. Vainola, R., Witt, J.D.S., Grabowski, M., Bradbury, J.H., Jazdzewski, K. & Sket, B. 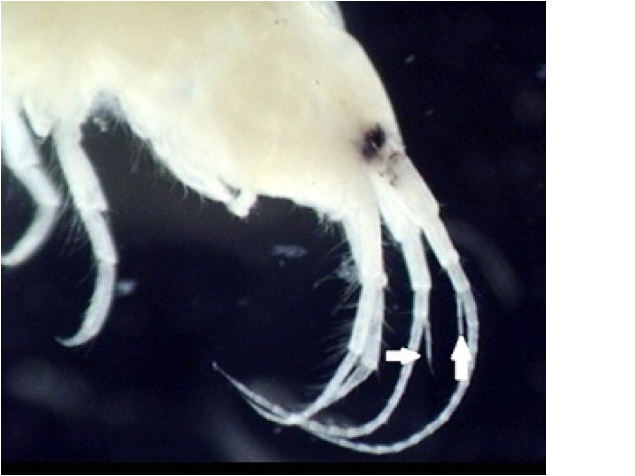 (2008) Global diversity of amphipods (Amphipoda; Crustacea) in freshwater. Hydrobiologia, 595, 241-255. Van Overdijk, C.D.A., Grigorovich, I.A., Mabee, T., Ray, W.J., Ciborowski, J.J.H. & Macisaac, H.J. 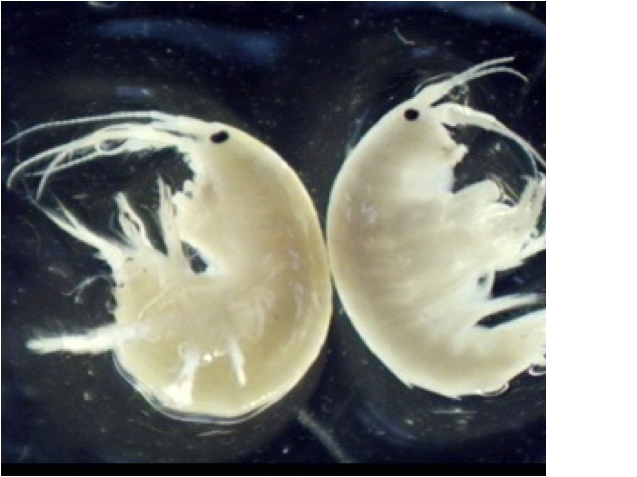 (2003) Microhabitat selection by the invasive amphipod Echinogammarus ischnus and native Gammarus fasciatus in laboratory experiments and in Lake Erie. Freshwater Biology, 48, 567-578.